We steer away from political advertising…it polarizes the staff. But we’re all up for a righteous cause, and a lot of folks in the state are oblivious to impending gridlock on I-26. 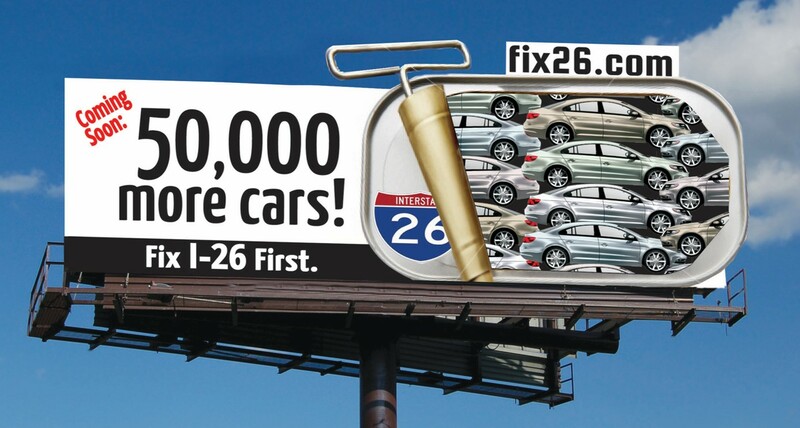 So, in this ad and one for billboards, the Coastal Conservation League urges readers to consider how too many cars on too few lanes will affect their own commutes and other urgent trips. And to ask elected officials to change roadbuilding priorities.